Did you love reading Eat Right 4 Your Type? In our October newsletter, we've changed our format, so we could produce an easy reference guide to following the Blood Type Diet. We've heard from lots of customers that they would love a central place where they can find helpful resources that make following the BTD easier for themselves and their families. We hope you enjoy this issue. We've pulled together a wide range of support materials that can make meal planning, goal setting, tracking your success, and enjoying the rich treasure-trove of resources that are available for followers of the BTD and the personalized dietary programs developed by Dr. Peter D'Adamo. Making and maintaining changes in our diets and lifestyles requires knowledge, discipline, and a good system to make it effective. 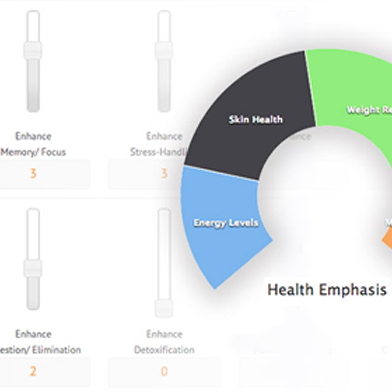 We've pulled together some key tools that will help you in this process and make it easier for you to be successful on your road to optimal health, improved vitality, weight loss, healthy aging...to name a few of the benefits of following the BTD. Make basic foods in larger quantities and freeze them in individual servings. This works well for soups, chili, casseroles, granola, pasta sauce and stews. Make right for your type pesto and freeze it in ice cube trays so you can pop out one to add to a recipe for flavor enhancement. Make double or triple amounts of condiments and dressings to store in the fridge. Utilize roasted veggies. 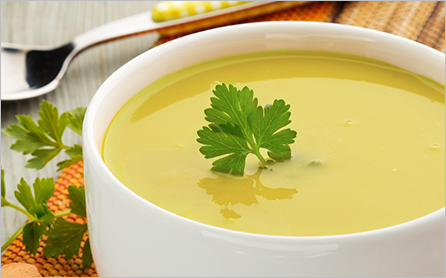 Make extra and use the leftovers into the next day's soup, casseroles, or salads. Make a supply of right for your type breadcrumbs and keep in the fridge so they are on hand for a quick casserole topping, used with seafood, poultry, or in a meatloaf. Create a flour blend that is right for your type, and keep it in an air tight container. It will make your baking so much easier, just scoop and use. Use the weekends to prepare snacks and prep for a few meals by pre-washing your veggies and lettuce. A couple of great snacks to keep on hand are Black Strap Cherry Granola, Spicy Rosemary-Nut-Clusters, and good for all types Unibars, which are gluten free and kosher certified. If meal planning is challenging for you, we've done the work for you. 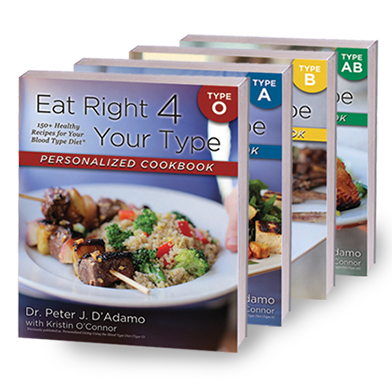 In the Eat Right for Your Type Personalized Cookbooks, there are weekly meal plans for four weeks. These can be followed or you can use them for inspiration. There's a wealth of information available in the written works of Dr. D'Adamo as well as on our website. Here's a quick guide to the resources that can make knowing where to look easier. 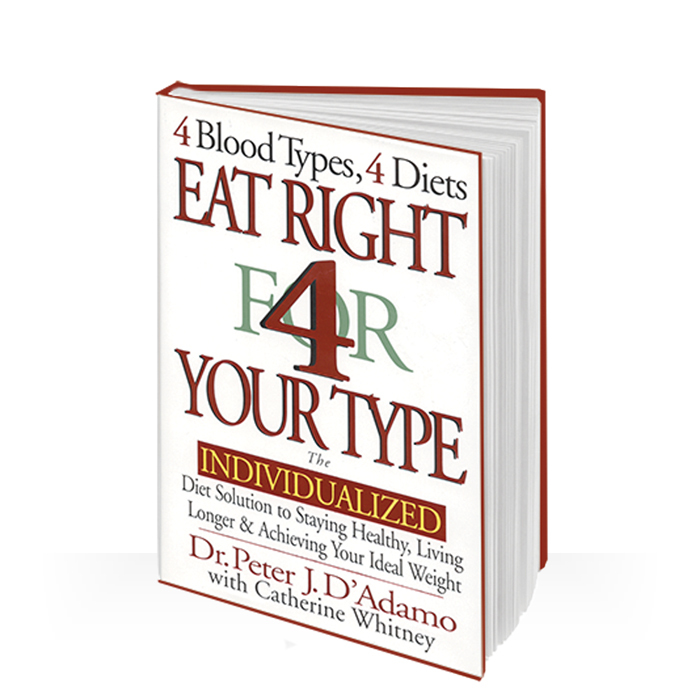 Our Video library will enliven the work of Dr. D'Adamo as well as provide an easy and accessible way to learn more about the Blood Type Diet, personalized nutrition, and many of the support tools that are available to people on the diet. There's a tremendous range of content from historical development of the Blood Type Diet to useful and inspirational guidance. The D'Adamo Personalized Nutrition (DPN) Article archives is a treasure trove of information which allows you to deepen your understanding about nutrition, the work of Dr. D'Adamo, and provides information on all levels -- practical day to day, inspirational, and useful tools. You can learn more about the DPN line of personalized and blood type friendly products, learn from other people's journeys and experiences on the diet, and be inspired by their stories. 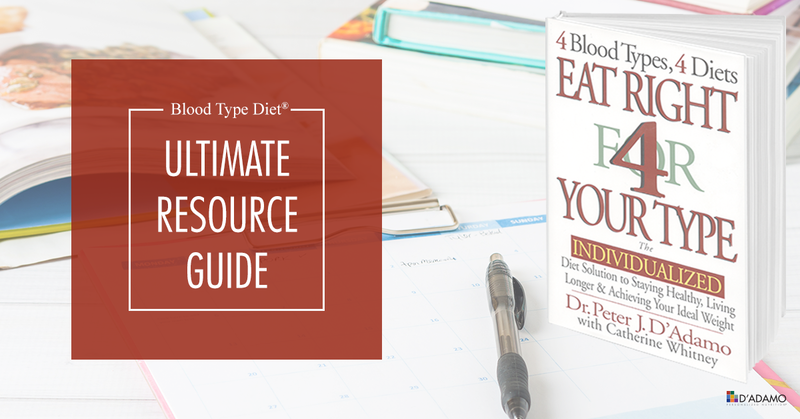 Delve deeper into the science behind the Blood Type Diet as well as its role in supporting a number of health conditions. Browse the cyber-aisle of the DPN library to see the wide range of books written by Dr. D'Adamo that allow you to tailor your diet based on your lifestyle and health history. If you have been following the BTD and hit a plateau or gotten a little cheaty with those avoids, we invite you to use October to recommit to your diet and challenge yourself to reconnect with the initial burst of health and vitality you experienced when first starting the diet. Here's a couple of great tips that both Dr. D'Adamo and Martha practice when they need to ramp up their programs. Stretch yourself. Don't just eat the usual beneficials. Look at the list and add some new foods in for variety. Strive for 80% compliance... so if you cheat, it's in the 20% of acceptability. Increase your exercise to 4 times a week. Manage your stress. We've found that the single biggest issue people have with following a nutrition/lifestyle program is that they were stressed in their lives and wanted to reward themselves with food. There are plenty of other rewards out there! And a good destresser is a walk in nature, or a 5 minute, shut the door and tune it out break. Really, just 5 minutes. Dr. D is hoping your enthusiasm can be past on to those unfamiliar or just getting started with the diet. 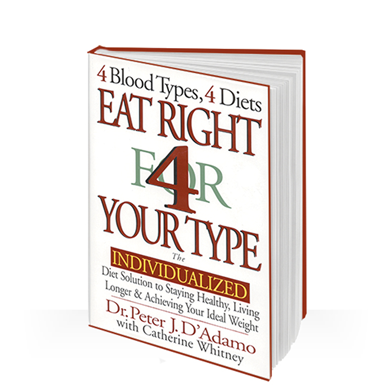 If you would like to share your experience from reading the book and following the Blood Type Diet, please consider leaving a review of his Eat Right for Your Type book. 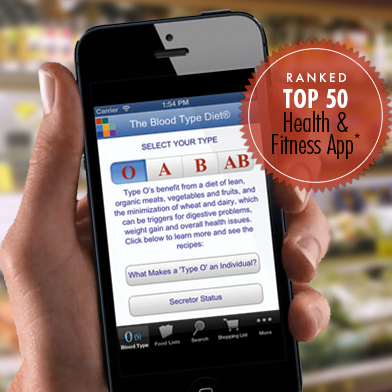 Our message this month is all about supporting your personalized nutrition goals by following your Blood Type Diet. We have a complete line of nutritional supplements formulated by Blood Type, and we'd like to support you in supplementing right for your type by offering a 15% discount on allBlood Type Specific Supplements. Here's to your continued success! Fall is such a great time of year. The crispness of the air, great vegetables to harvest, and a return to soup making. We wanted to feature lemongrass as an ingredient this month. If grown outside, it is best harvested before the first frost; if grown indoors, it can be harvested year round. Lemongrass is a thick, woody stalk that needs to be bruised and chopped before use to help bring out its flavor. It is widely used in Asian cooking, and it adds a fresh, citrus flavor to recipes. Here's a wonderful Thai Curry Soup, featuring lemongrass. There are four slight variations so that it is blood type specific as well as non-secretor friendly. Feel free to adjust the recipe with your favorite beneficial vegetables. There are approximately 6 servings per recipe.